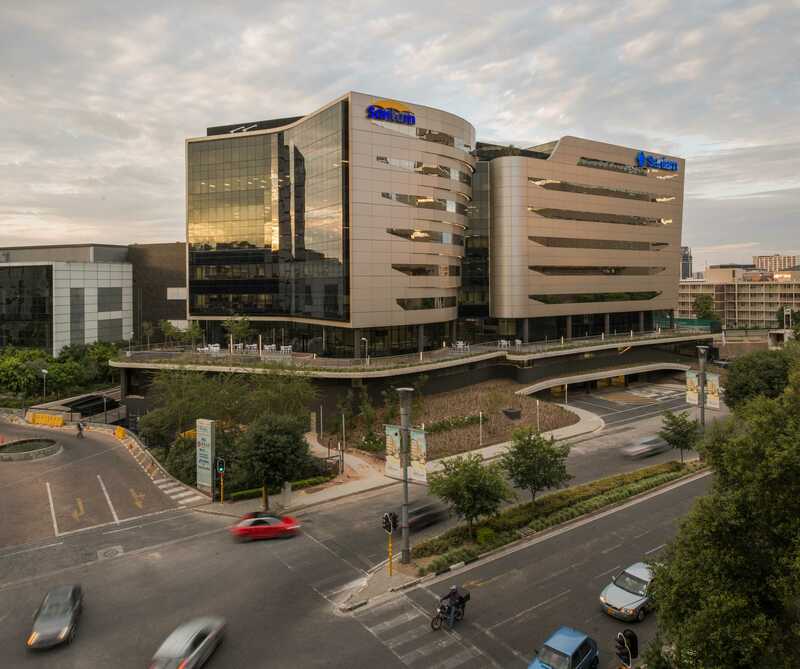 The second phase of the Alice Lane precinct, situated at 11 Alice Lane in Sandton’s commercial district, achieved a 4-Star Green Star SA Office V1 Design rating in 2013 and a 4-Star Green Star SA Office V1 As-Built rating in 2016. 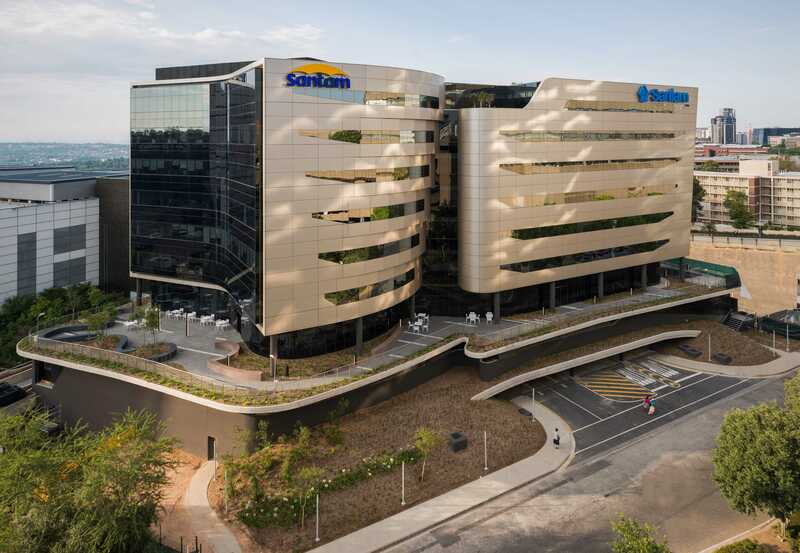 The office building, the home of anchor tenants Sanlam and Santam, accommodates seven office floors and nine parking levels. The building also includes showrooms, retail elements, concept stores and a ground floor canteen and auditorium. 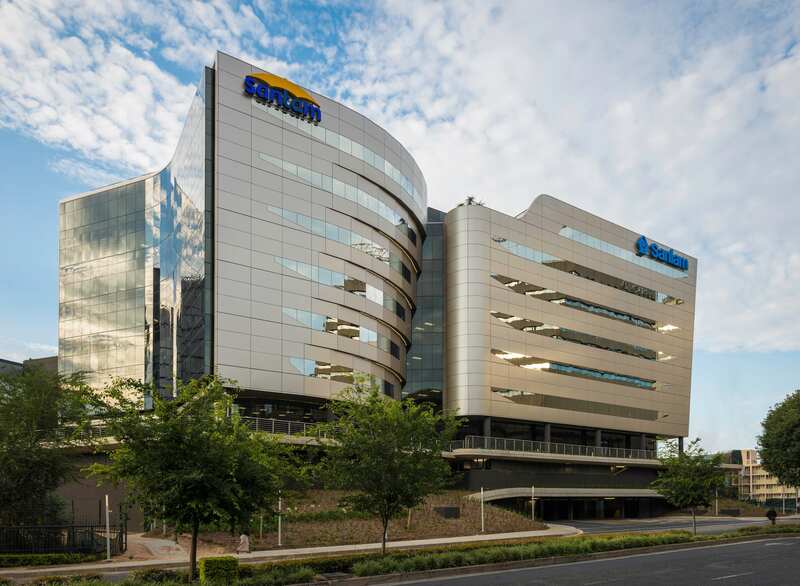 The structure, alongside phases I and III, completes the enclosure for a necessary green lung within Sandton’s commercial and retail precinct. 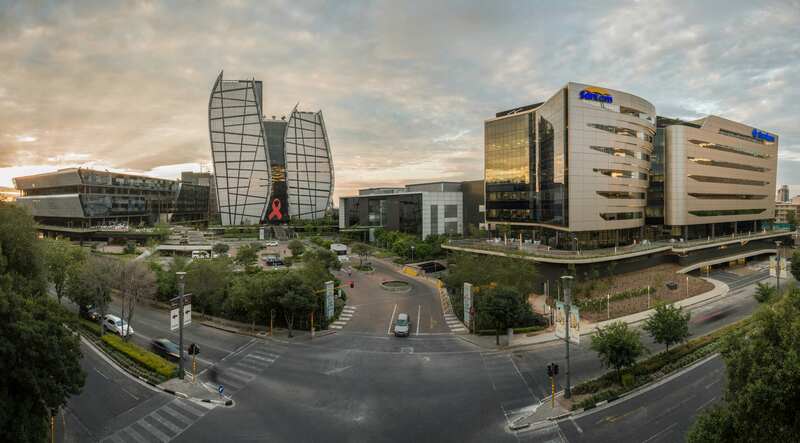 Phase I was completed in 2013, forming the first boundary of the future piazza, and creating a canvas from which to work. Working with generated site line analyses and sun studies, the conceptual design of the buildings chiseled away at the sculptural forms to generate refined massing and bring sunlight into the public space, essentially using sunlight to create the forms of the buildings and the resulting form of the piazza. The ground floor of Phase II was designed intentionally to extend beyond the structure above as a floating platform, allowing for spill out spaces for the canteen and auditorium, and providing a visual connection with the street. The relationship between the building and the street is further enhanced with the idea of surfaces that peel away to provide vehicular and pedestrian access. 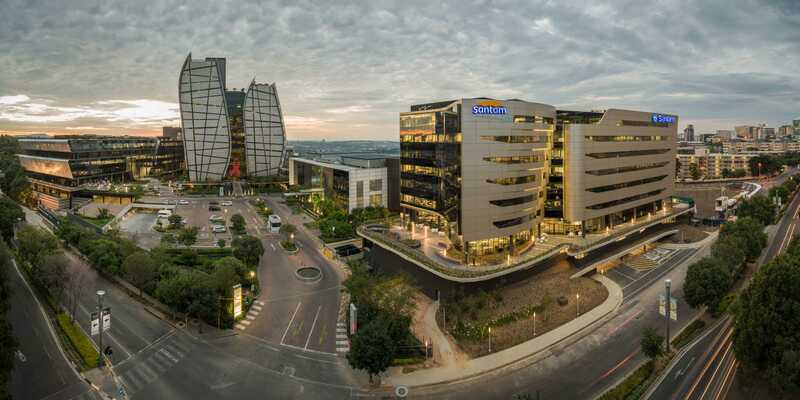 Due to the requirement for cellular offices and to ensure that all offices were exposed to natural light, two wings were generated so that every office is a perimeter office receiving adequate natural light. 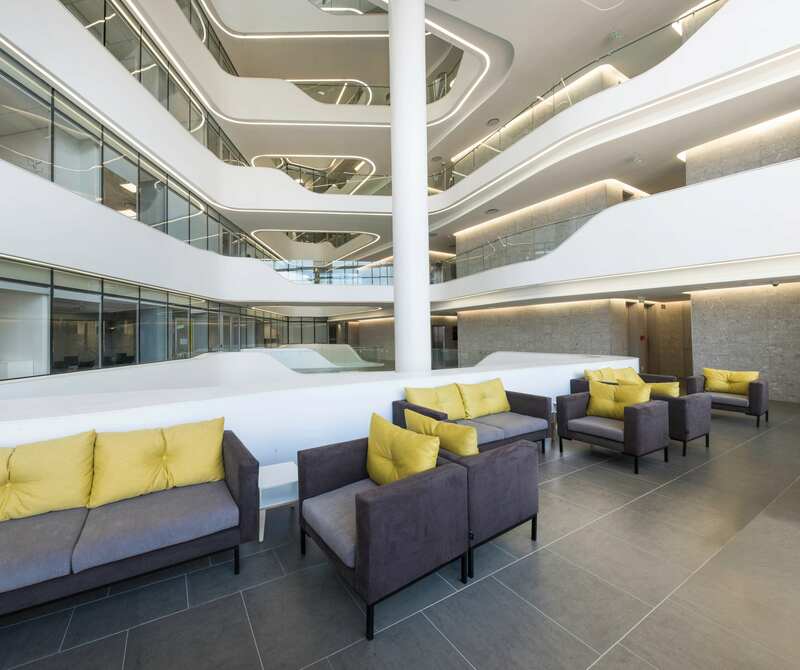 A central atrium with clerestorey lighting introduces additional light into the work spaces. 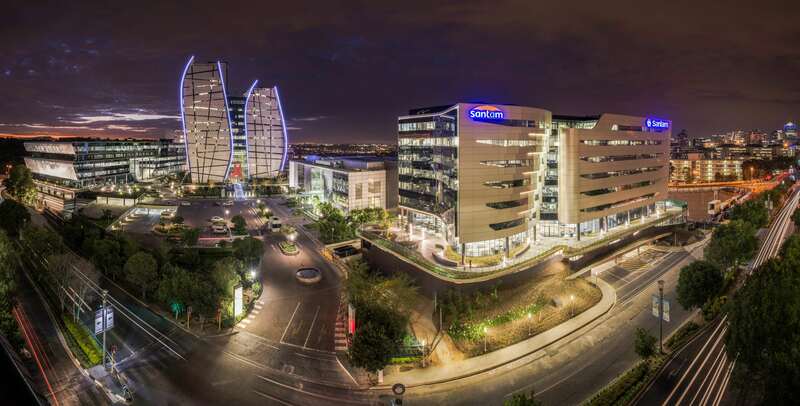 The design of the atrium uses curvaceous and organic forms to link the sister companies which, together with the choice of materials, contribute to the light and liveliness of the internal space. Lighting is further explored at night with a combination of cold cathodes and LED fittings that accentuate the generated forms. 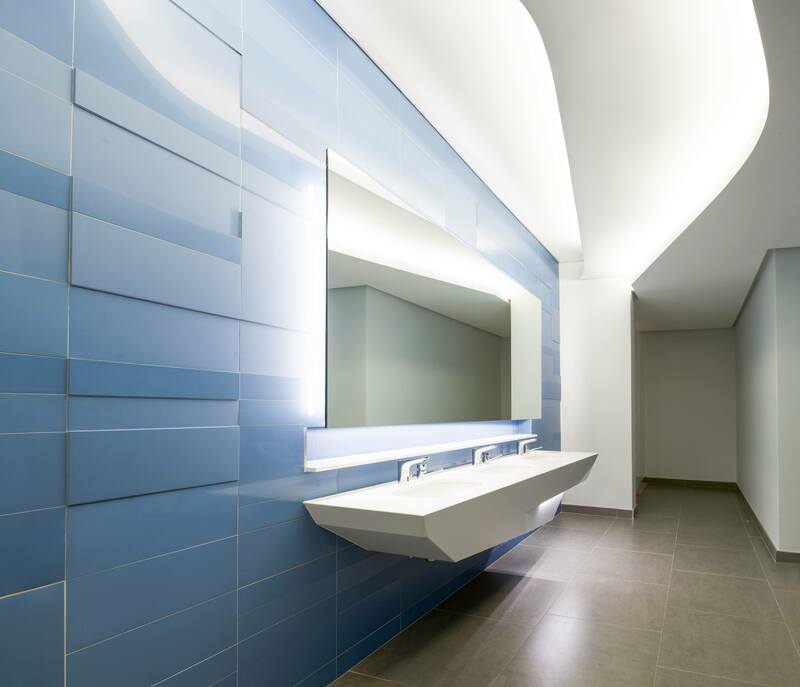 The materiality of the building includes high specification glazing elements and unitised aluminium cladding panels that comprise the envelope of the building. The North and South facades are predominantly glazed, allowing a substantial amount of natural light into the space. The glazing specification comprises mainly platinum grey double glazing on all facades, with the exception of single glazed elements on the ground floor.